Since the first reports about BlackBerry possibly launching an Android smartphone later this year popped up, we've been intoxicated with many rumors on the matter. The latest rumor comes from a BlackBerry developer who claims the BlackBerry Passport in his possession is powered by Android 5.1 Lollipop operating system, PhoneArena reports. 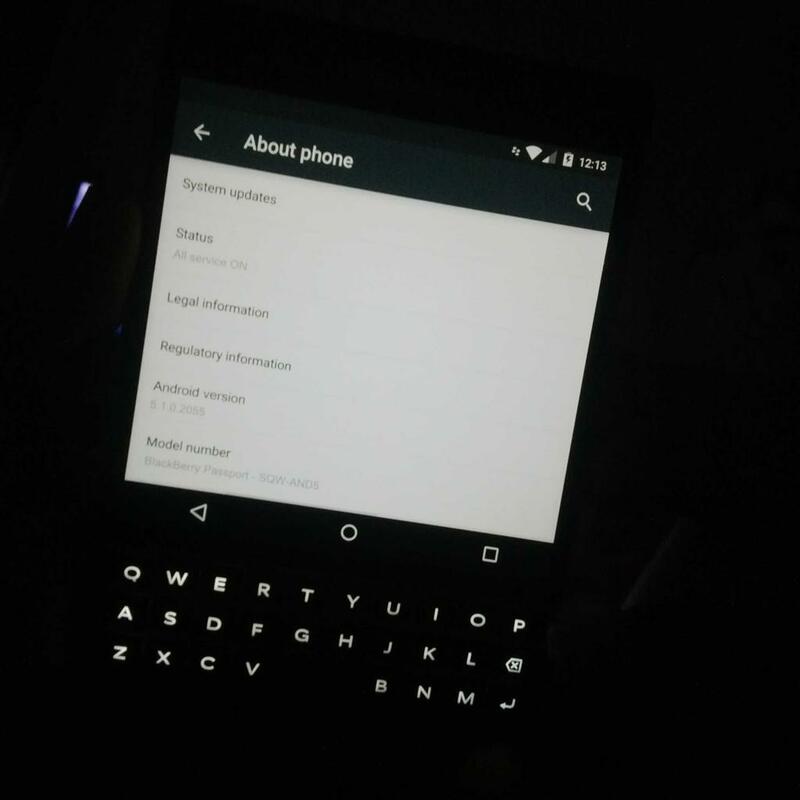 It’s a picture showing the “About phone” window of what appears to be a BlackBerry Passport smartphone. In fact, we're pretty sure that this is BlackBerry's square-sized device, which has an easily recognizable form factor. Unfortunately, aside from the picture published on Twitter, the owner of the BlackBerry Passport allegedly powered by Android 5.1 Lollipop platform doesn't reveal anything else. BlackBerry OS can already emulate Android apps on most of the devices it's running on, even though the experience is not always smooth. A Passport running Android is a possibility, but we don't know if BlackBerry really plans to launch a different version of the smartphone. We reported earlier today that BlackBerry plans to launch a high-end slider smartphone, which is called Venice. This smartphone might or might not be powered by Android, but word is BlackBerry will allow customers to choose between two operating systems. The same could be the case for the BlackBerry Passport, which could ship with either BlackBerry 10 OS or Android 5.1 Lollipop right out of the box. That way the Canadian company will be able to make both BlackBerry and Android fans happy at the same time. So, instead of asking BlackBerry fans if they would like to purchase a BlackBerry smartphone powered by Android, why not offering them the option to choose between two OSes? Given the fact that we can't tell whether or not the photo showing the BlackBerry Passport powered by Android 5.1 Lollipop is legit, we recommend out readers to take the information with a grain of salt.